If you are a frequent traveller embarking on more than two trips throughout the year, then it may be beneficial you invest in an annual travel insurance policy. There are numerous advantages to choosing a broader form of coverage, the most practical being the ease of one single payment rather than a last-minute search for holiday insurance before you step on the plane. Whether you're planning trips worldwide or a few city-hops around Europe, you can save both time and money by purchasing travel insurance on an annual basis. An annual multi-trip insurance policy acts as the best choice for working couples and families too. As long as everyone covered by the policy lives under the same household address, travelling independently is no problem at all. Whilst you hit the slopes, the rest of the family can soak up the sun of the Greek islands, and you can all relax knowing you are covered. When finding your multi trip policy, leading travel insurance comparison sites suggest your chosen cover should provide at least £2 million medical cover and £1 million personal liability cover. You'll find even our basic bronze level annual multi-trip travel insurance meets all of the recommended criteria. If you need higher levels of cover, our Platinum Annual policy exceeds in providing the maximum protection available, offering up to £10 million for medical expenses and other benefits like free gadget cover. Holiday Extras medical insurance also includes cover in case you need to be repatriated back to the UK. From the moment you receive your annual policy, everyone listed on the policy is covered for an unlimited amount of trips across 12 months. It's important to know what you are covered for, but it is equally important to know what your cover doesn't include! We have a winter sports cover available, protecting all of your hired ski equipment and providing avalanche cover. So if you are heading to the mountains for ski-season, it might be best to top up your coverage to keep you protected all through the year. Looking after your annual policy has never been easier. No matter how many printed policies you lose, there will always be a copy safely stored in your e-mail inbox, so it's important you provide us with a correct e-mail address when booking online. If you'd prefer to receive your travel documents in the post, that can be arranged too by calling our free, friendly UK call centre to speak to one of our team. Always remember to keep a printed version of your travel insurance policy with you whilst travelling. 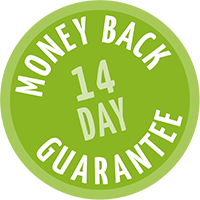 It is possible to cancel your multi-trip policy within 14 days, providing you have not already travelled or are intending to make/or have made a claim. In return, we fully refund your payment. If your cancellation falls outside of this duration then it is still possible to cut ties with your annual policy but unfortunately, we are unable to provide a refund. It can be difficult to find a cheap provider of annual travel insurance whilst suffering with a medical condition. Whilst there may be a potentially higher need for medical assistance whilst abroad, at Holiday Extras it doesn't have to mean a higher price. Our online screening process is discreet and simple yet thorough - allowing you to arrange a tailored quote so we can provide an annual cover policy that is individual to your holiday and your condition. If you need any assistance, we also have a dedicated Kent-based team who can organise cover and help with any queries you may have. As long as you are aged 79 or under and have disclosed all pre-existing conditions - including the conditions you've successfully defeated- we are more than happy to provide fully comprehensive annual cover, with medical protection of up to 10 million. *Price based on 1 person aged 25 with no pre-existing medical conditions, travelling to Europe on an annual policy. Price correct as of April 2019.